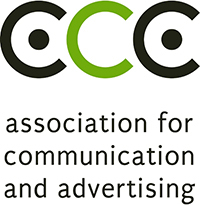 The Association for Communication and Advertising (ACA) is pleased to announce that the 2015 APEX awards season is officially open. Entry into the prestigious APEX awards is exclusive to agencies that are registered members of the ACA and their clients. The deadline for entries is the 28th March 2015. Winners will be announced at the annual gala event that will be held at the Sandton Convention Centre in Johannesburg during July 2015. The annual APEX Awards is hosted by the ACA with key partners SABC and the Sandton Convention Centre. Brand barons and marketing moguls are invited to enter their most effective communications campaigns that not only met but exceeded objectives and worked hard to deliver measured, tangible results. APEX recognises, showcases and celebrates those client and agency teams and their communications campaigns that are effective, best of breed and trend setting. “Winning a highly coveted APEX is the ultimate validation of effectiveness for client and agency teams because it is affirms successful teamwork and demonstrates that the work produced by the team not only delivered results but exceeded expectations and more than delivered on the set objectives to achieve a healthy return on investment. An APEX represents both strategic and creative effectiveness which positions winners as being leaders of the profession that is constantly evolving and redefining creativity and effectiveness,” explains Odette van der Haar, ACA. “The APEX awards is not just an awards program that awards trophies without making a constructive contribution to transforming the profession. In recognition of the fact that talent is the heartbeat of the business, the program identifies deserving tertiary education students from the industry’s official trade school – the AAA School of Advertising which is the “Birthplace of Brilliant” and awards much needed bursaries to PDI students,” concludes van der Haar. For more information about the APEX awards 2015, details on how to enter, key dates to diarise, entry fees and so much more, visit http://www.acasa.co.za/apex.aspx , email apex@acasa.co.za or call the ACA on (011) 781 2772/3.